You have to earn the right to land your technique! How do we earn that right? How do we put ourselves in a position to make things work? How do we land our devastating right hook or our devastating roundhouse kick? The answer lies in the understanding of Body Alarm Reaction (BAR). Over the years, people such as Geoff Thompson and Peter Consterdine have written detailed accounts of the “Chemical Cocktail” all the fears and adrenal releases that occur pre-fight, during fight and after fight. They have talked and explained how the use of Action triggers can help alleviate some / many of these problems. They are 100% right in what they have said and the solution they have brought to the table. I specialise in the teaching of Principles (what we call Players to the Game), BAR being one of the 90+ that I actively teach. BAR adds to the effectiveness of the action triggers that Peter and Geoff have espoused for so many years. It is difficult to put across what is meant by this, and to appreciate the effectiveness of BAR in the written word. However, as they say, feeling is believing. Any one, who has trained BAR with us, knows exactly what I mean. BAR can be used pre-emptively or reactively. It puts shock into your opponent at such a high level, that usually the body just can’t take it. Put another way, your opponent has decided to start a fight with you / attack you. He has gone through all the mental trauma so superbly described by Peter and Geoff over the years. He has gone through that decision process. He has weighed up the options, the consequences and your abilities. He has decided he can beat you. He now sees the light at the end of the tunnel. However, what he thinks is the light at the end of the tunnel is really the Headlight of you coming straight at him! That is BAR. You are playing shock ping-pong. The moment a threat occurs you launch into BAR response, again either pre-emptively or reactively, it works just as well either way. Then, you have earned the right to land your technique. Then and only then, can you do your roundhouse kick / right hook / Kata Bunkai or whatever it is that floats your boat. Techniques can now be analysed correctly, Kata now makes sense. How the Body works is now just as important as doing loads more reps. Training smarter is better than training harder, training harder and smarter is the best way to train. Many Martial Artists have taken advantage of the huge amount of information out there on the Internet, Message Boards, Discussion groups etc that abound these days. The volumes of videos, seminars, training camps and books that are available. These Martial Artists have done themselves a huge favour, as they have improved themselves and probably at the same time improved whatever art they practice. It has also become apparent that too much in the MA is made difficult to understand, overly complex. Many people are adding to their syllabus to ensure that their students do not catch up with them too quickly! Our work as Instructors, especially as full time Instructors, is to make our students much better than we are. Too many Instructors still have this age old problem of ego, we all have one of course, but it must be kept under control. Instructors do not have to be the best in the club at every aspect of training, they have to be the best at teaching, not doing. To put it another way, some fight Instructors are expected to be better fighters than the fighters they are training. This is ludicrous, if they were, then they would be fighting, not training! Manny Steward does not beat up Klitschko before he sends him out to fight. He is a Boxing Coach! This is where I think the mistakes have been made. In the MA we all want to be Instructors and not many people want to be a Coach! I have been fortunate enough to train with Eddie Stokes and Peter Consterdine on many occasions, Eddie too many times! Eddie has been working the doors all this time and has recently returned from a 4 month tour of Iraq. His level of knowledge and experience in Combat is second to none. I have been very lucky to have trained with Eddie so regularly. Any of you that have met him will appreciate just how good he is. This training, combined with what I learnt from Peter and Rick Moneymaker has been invaluable to say the least. Eddie has been a complete role model for me in the Martial Arts. Train hard but teach soft. Eddie, is the epitome of a great Coach. This type of training brought myself and Eddie to many conclusions. We knew that Self Defence should be simple and easy to learn, but we also knew that the Old Masters kept saying that to truly understand Karate and especially Kata took a lifetimes study. This seems at first to be a major contradiction. But, like many things, first impressions are not always what they seem. Both myself and Eddie took the step about 7 years ago to teach SD first and then people can learn the art as they go along, if they want to. This led to many things, as a business, forget it, you hardly have any students. But for quality of students and people, you can’t beat it. I remember saying to all the people that I taught, that I considered myself a coach. Eddie was the one out there proving what we taught worked, week in and week out, as were the multitude of Doormen etc that came to train with us. Now, back to that paradox of making the MA simple yet incorporating a lifetimes of study. How can it be achieved? Has it been done before? What will happen to our system? Of course this has happened before. It has happened with every single MA out there. Every single one has been simplified from where it was, made easier than it once was. The knowledge of the art has become much more superficial. Lifetimes study to truly understand Kata has lost its real meaning. It does not mean, keep training till you can perform the Kata correctly all the way through and score 10 out of 10 from every judge. It means, it takes a lifetimes study to truly understand why every move is made and what it is really for. Now, maybe in the old days with slow communications it took a lifetime, but not now. We can be anywhere in the World in a day, back then it took a day to travel 30 miles. This simplification that has happened in for example Shotokan, has resulted in a system with 3 or 4 punches, 7 or 8 kicks, a few blocks, a few stances and a load of Kata. Which, for the majority, is just combinations of the above in a set order. Is that really a lifetimes study? To put this into perspective, about 15 years ago I was watching a tape with all 26 Shotokan Kata on. My sister, a Dance Teacher, saw it and said that it looked real easy to learn. I told her she knew nothing about the MA and not to be so silly, as these Kata are known by only the very top people who have taken years to learn them. She replied, with “ I could learn them in a week”. The bet was on. I lost, convincingly. She performed them superbly well. No in depth knowledge, but the performance of the moves was beyond reproach! Does this sound like a watering down to you? The performance of the moves is there, but with no depth of knowledge. A perfect singer, singing in a foreign language. Hitting all the right notes, but not understanding a word! There has never been a better time in the MA to learn more, never been a time with so much information, never been a time with so many multi talented Instructors out there. Yet, with all this wealth of information, the vast majority of MA Schools have simplified still further. Now, no Kata in Karate is quite normal. Many Schools are teaching Kick Boxing, most of which neither Box nor Kick correctly. They are merely over simplified versions of a simplified version of Karate. The problem is, people have mistaken “simplicity” for “no need to fully understand what you are doing”. There is a MASSIVE difference between the two. Take a superb Boxer, Herol Graham, for example. His depth of knowledge is amazing. He can explain exactly how and why every part of your body is positioned for the best execution of each and every punch. That statement sounds simple. But read it again. “How and Why every part of the body” is the key. A simple statement, easily overlooked, easily misinterpreted, but that statement encapsulates everything required to attack correctly, whilst keeping yourself defended. Read it again to make sure you understand. Now, onto our own syllabus. On the surface it seems ludicrously simple. The execution of it, in fact is designed to be simple for the beginner. But, as you read into it more and more, you see how it is alive with every aspect of the MA that is required. This is the key to any syllabus. How do we stop it from being watered down? Simple. There are checks and balances in place to ensure that the required standards are met. Not your typical wait “x” amount of years between grades. It is a simple case of, you can either do it or not, you can either teach it or not. That is why we have only students or Coaches, not Instructors, but Coaches. Each coach must be verified by senior coaches and the more senior the coach then the more senior the verification. Stop training and after a short period of time, you lose your certification. Each Coach is certified for one year at a time. As long as they keep training and maintain their standards, they are automatically renewed, free of charge. Stop training or drop your standards and you are no longer certified, simple as that. Too many Black Belts reach 1st Dan and stop training. Then they are awarded grades by friends and colleagues in the Industry and reach high Dan levels with no checks and balances on their actual teaching ability or depth of knowledge. Putting in the years is NO EXCUSE, in fact, many years training with no depth of knowledge is an even worse crime! Now, back to the watered down bit. This lack of in depth knowledge is the real problem within the Martial Arts. The sad thing is, that during this period of time in the MA there is no reason for such a lack of understanding. There is simply so much information available. Let’s analyse Boxing for a moment, 4 punches, one stance and a few blocks. Slip, slide, bob, weave, pivot and duck. Doesn’t sound like too much to learn, does it? On a boxing coaching course, they actually teach this in two weekends and voila, you are a boxing coach. But, to truly understand how and why all those component parts can be fused together, takes years and years of study. How to fight off the ropes, get out of a corner, cope with the various types of fighters. This, simple subject on paper, is suddenly mind bogglingly massive in terms of information. Suddenly, there is too much to learn! Now, add in all the kicks of Kick Boxing, the knees and elbows of Thai, the throws and takedowns of Ju Jitsu, the groundwork of Judo/BJJ, put it all together and you suddenly have an unbelievable amount of information to digest and learn. No wonder many Instructors take the easy path and just learn the basics and do not bother to even try and learn the hows and whys. No wonder, there is a plethora of Schools teaching Kick Boxing and yet they do not have a clue about the various elements that make up a true system. To apply locks correctly for example, you should have a good working knowledge of levers, points of balance, body structure, body physics, body dynamics, pressure points etc. To strike correctly you need to know how your own body is balanced, how to position your body for maximum impact, how to deliver the strike with speed, power, timing and accuracy, whilst at the same time keeping balance, defence and structural integrity. So much to learn, it seems impossible to have a deep knowledge of all this. In fact, you would be surprised, as it is much easier than you think. Do not take the easy way out and have a superficial knowledge of your art. Delve deep into it, not the history, but how and why techniques work. I have spent the last 17 years of my MA life, doing just that. Analysing every constituent part of techniques and learning how and why they are done in a certain fashion. This gives you a true understanding of what you are doing. This is called principle based training. The vast majority of students and Instructors are taught on a technique based method. A monkey see monkey do method if you like. If you are in a class or teaching a class of 50-60 students, it is difficult to teach correct principle based methods. Much easier to have everyone in lines, copying the Instructor. Think about it for a moment, how do you really train? For anything to work it has to be simple in operation. There may well be a wealth of knowledge and expertise behind what is working, but the actual performance MUST be simple. That is the best you can hope for in any encounter. Nothing is perfect and nothing works all of the time on all of the people. But something that works 90+% of the time on 90+% of the people has to be a good thing, especially if it is learnable within a few hours or even minutes of training. The answer is really quite simple, it is in principle based training as opposed to technique based training. Principle based training was first shown to me by Grand Master Rick Moneymaker of the Dragon Society International, who remains to this day, the one person I have to blame for setting me on the right path. It’s all your fault Rick! Where do certain parts of the Martial Arts overlap with others? When does my Karate start to become more like Ju Jitsu or Kick Boxing? Where does self defence training fit into all this? What training attire should I use? Is it bad manners not to train in a Gi? My personal view on this is quite clear. I train in a Gi when I do not want to ruin my T Shirt and shorts. I use a Gi for some groundwork as it can take the pounding, pulling etc. I use a Gi top for takedowns etc as it does not rip. That and formality of an occasion is the only reason I wear a Gi. The biggest secret of Karate is that it encompasses all of the attributes you expect from every Martial Art. If you truly understand your Karate, you will see that it includes: Self Defence, Fitness & Conditioning, Power Generation, locks, chokes, strangles, grappling, pressure Points, Body Physics / Dynamics and a thorough understanding of how and why the body works and responds to various stimuli. The MOST IMPORTANT SECRET of Karate is that it is taught back to front by almost every single Association in the World. Yes, I said back to front, they teach it all the wrong way round. You are taught at first what you should be taught last, and taught last that which you should be taught first! All Karateka are taught the basic techniques first, followed by Kata and then more intricate techniques and Kumite. Then later on at Black Belt level, they start to analyse Kata or want to just know why the hell they have been doing Kata anyway. Then they learn some Self Defence techniques and try to apply the basic techniques to these scenarios. Well, that DOES NOT WORK! Wake up and smell the coffee! YOU MUST learn self defence first and techniques etc later. You must learn how your body works first and apply that knowledge later. You must learn to hit very hard first and where to hit later! 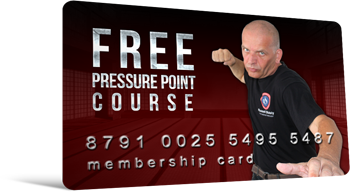 I am very well known for Pressure Points in the Martial Arts and being able to breakdown any Kata move from any system and give viable street effective Bunkai for that move. I do not know every Kata out there. I do not know every move out there. BUT, I understand HOW and WHY the body works and moves. This information alone can unlock the secrets to 90% of your Kata.